Back in June of 2009, I made a short weekend visit to Florida for a cousin's graduation party. Although the trip was not a herping trip, one can always find time to get a little field time regardless. Our flight arrived mid Thursday morning and by later that evening my cousin Robbie and I were out in a local state forest in central Florida. The temperatures were hot, but it didn't deter us from getting a little herping in. There's something about the Florida pinelands that I love, just a unique habitat. 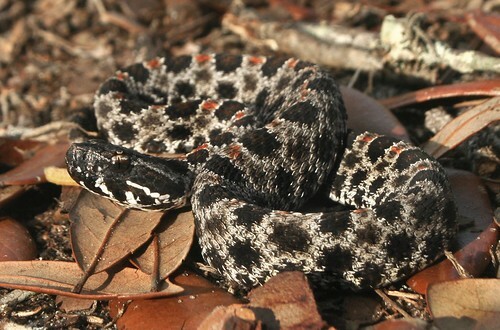 I absolutely love these little rattlesnakes, and this was only the third I've ever seen, and the first in 2-3 years. his little guy was pretty jumpy and was filled with a little attitude, these cousins of the Massasauga have a much more agressive streak than their big cousins. 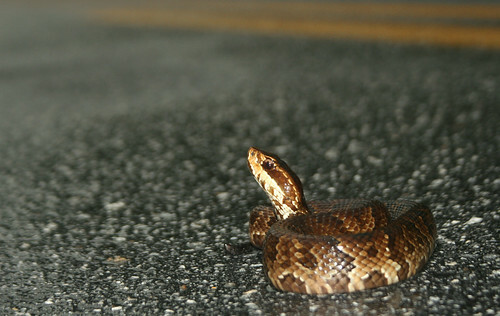 We spent a few minutes with this cool rattler, and then headed out to hit a few more roads. We were excited to have found a pigmy on our first outing and the rest of the evening looked good. Not too much later on, we came across this massive DOR Yellow Rat Snake, a snake that has eluded me in Florida, the only ones I've ever seen have been DOR. A little discouraged by the Yellow Rat, we pressed on. Our persistence paid off when we hit another sad road right at sundown. We looked ahead and saw what appeared to be a snake. 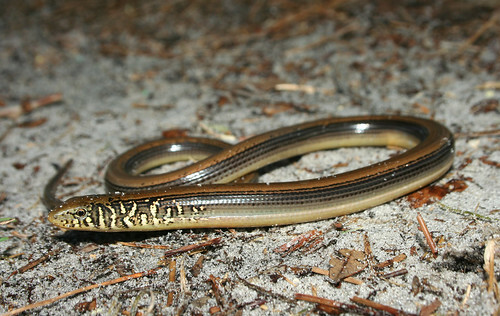 However, when we jumped out of the car, it turned out to be my second ever Eastern Glass Lizard, love these guys. As we left the forest heavy rains set in. 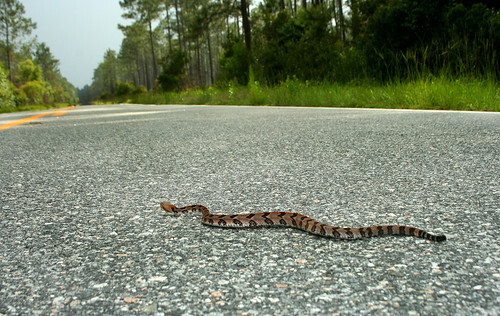 Within a few hours, the Florida roads were littered with these guys. One of my favorite Anurans due to their funny looks and call. The following day was filled with graduation festivities and left Saturday open for a day trip somewhere. 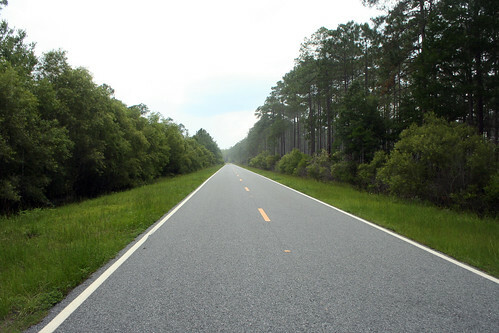 We ended up heading north to one of the three National Forests in Florida. We arrived mid-morning and found ourselves in-between periods of rain and sunshine throughout the day. 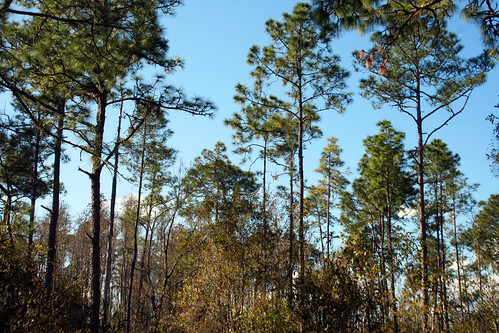 Our initial reaction to the Osceola National Forest was that its a place of natural beauty. We spent the first hour or two driving around to explore the forest a little and get a feel for the environments found in the forest. 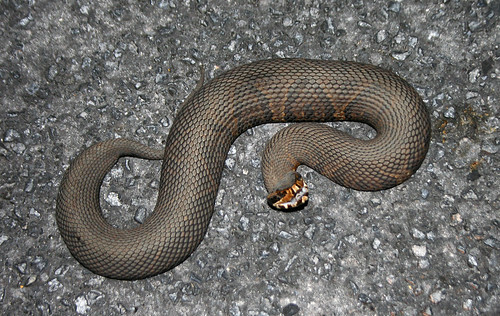 We came across several DORs which included cottonmouths, racers, and a corn snake. 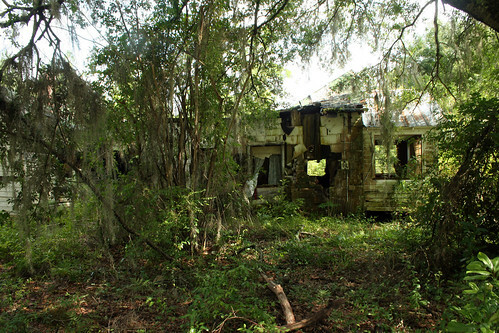 On the outskirts of the forest, we stumbled across this abandoned property that looked particularly snaky. Several discarded boards lay around the property and so we decided to flip around a little bit. 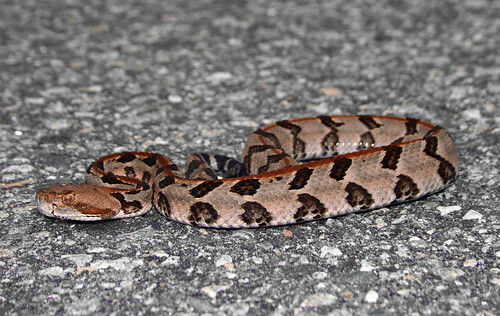 Aside from a few skinks we turned up a few of these, no doubt Florida's most common snake. Later in the afternoon, some heavy rains moved through the forest. Fiften minutes of rain, half hour of sunshine, repeat. Thats the way the cycle went until the late evening. 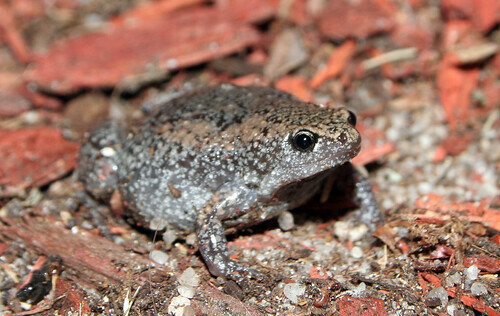 After a period of rain, these guys began to show up on the roads and even after dark. No trip to Florida would be complete without a few of these guys. The sole reason for us to venture to the northern section of Florida was the hopes of encountering a rattlesnake that neither of us had seen. 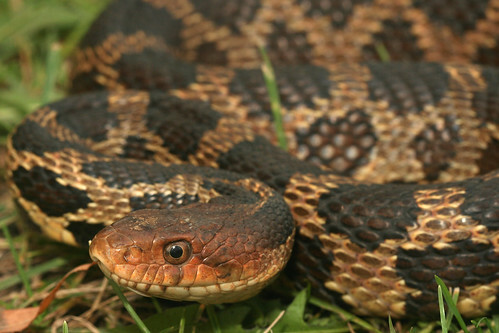 Canebrake Rattlesnakes reach their southern range limit in northern Florida. After a few tips from Floridian Daniel Dye, we focused our driving on a few particular areas of the forest. 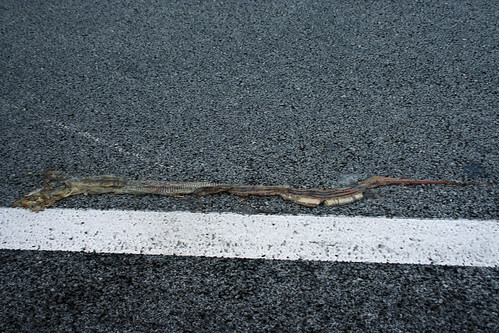 Around 5:00 PM we rounded a large bend in the forest road, and looked ahead in the road and noticed a very serpentine shape coming on to the road. As we got closer we both yelled, "Canekbrake!" It was one of the most beautiful snakes I've ever seen, and one of my favorite moments in the field I've ever had. We snapped photos for a few minutes, and let this gorgeous Crotalid on its way, a wonderful way to close another great trip to the great state of Florida. 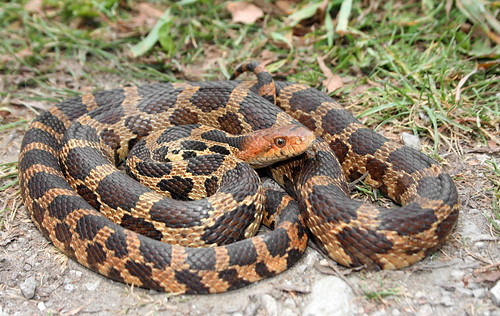 Before the beginning of the 2008 field season, I promised myself I would spend a little time looking for one of Michigan's largest snake species. 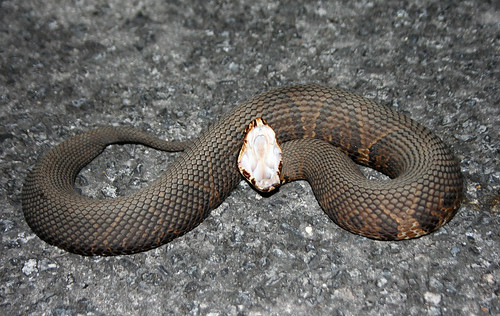 The state is home to two subspecies of Fox snake; the Western Fox Snake inhabits the pine barrens of the western Upper Peninsula while the Eastern Fox Snake is found in the coastal marshes of the southeast Lower Peninsula. 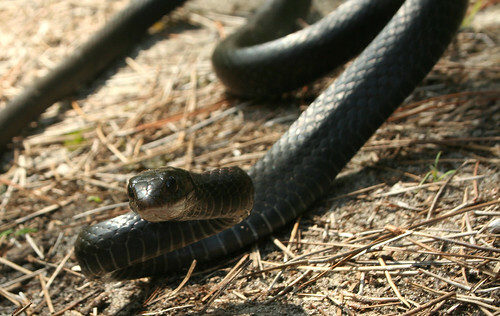 Not only is the Eastern Fox Snake a threatened species in Michigan, but its habitat is also one that is in need of constant management and protection. 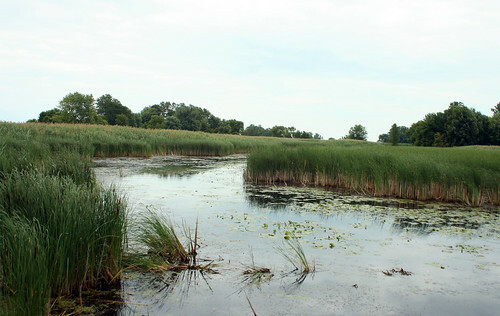 An invasive cattail known as Phragmites has choked much of these coastal marshes and outcompetes native cattails. However, some areas of coastal marsh are still in good shape and have native species still in control. 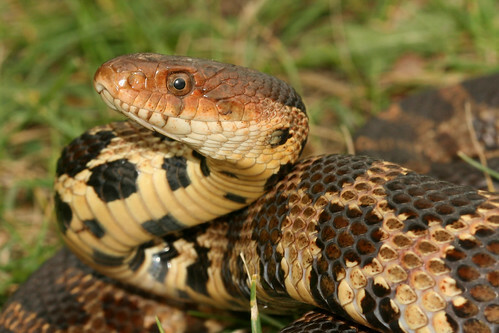 Fox snakes are one of the more attractive species in the state and their size makes them equally impressive. 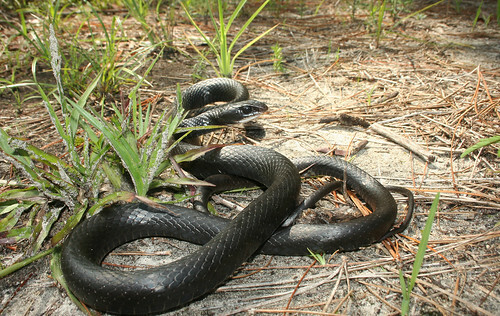 Several trips to the coastal marshes this summer produced severals snakes ranging from 2.5-5 feet. 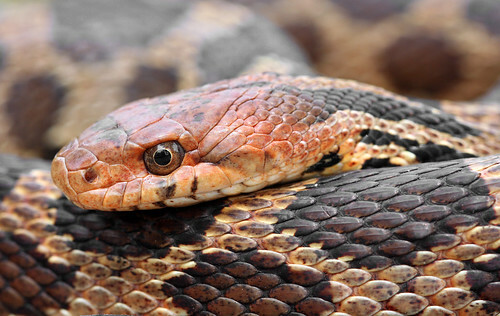 It was a privilege to be able to help a local herpetologist with his work on these snakes during the summer and is something I hope to do in the future.